It's Designer Jess here today to share one more card with you! I'm sure you remember my previous post HERE where I showed how to make these fabulous lanterns! This is my second version of it - I hope you enjoy! 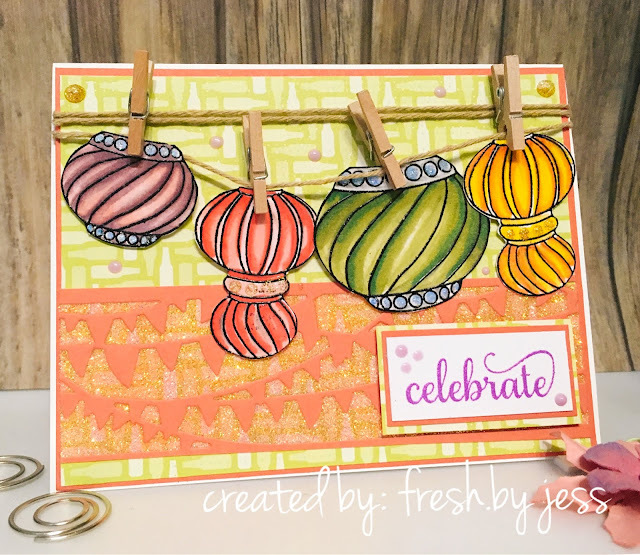 To learn how I created this card, head over to my blog HERE. Be sure to leave a comment both here on this post AND on my personal blog post to be entered to win our $20. prize this month! Don't forget about our fantastic Creative Challenge Group on Facebook! We give away a $15. Gift Code Prize each month. These latterns are really gorgeous! Love the colors! Pretty card! Love the lanterns!